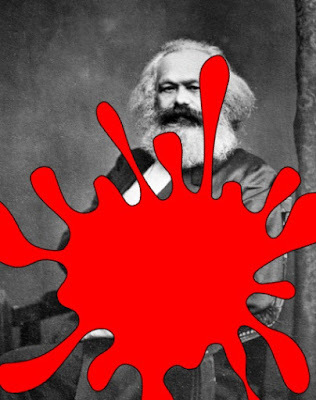 On May the Fifth, the 200th anniversary of the birth of atheist Sith Karl Marx was celebrated. Communism, its ugly kid sister Socialism, and other leftist systems are responsible for the deaths of millions of people. Many freedoms, especially speech and religion, are devastated under such rulers. China paid for a statue of Marx to be set up in Germany, the place of his birth. Everywhere these systems have been established, they have failed. Amazingly, people like failed US presidential candidate Bernie Sanders lauded Venezuela and other South American countries. China has a pretense of communism and forces atheism, but its economic system is a strange hybrid with capitalism. Most of us know that the communist Soviet Union (a "workers' paradise") collapsed, and North Korea is another communist police state that was propped up by the USSR. Even though most of communism collapsed and the ideology fell into some disrepute, it remained popular in academia. Karl Marx was an atheist who set up communism as a materialistic worldview as well as an economic system. He praised Charles Darwin's On the Origin of Species by Means of Natural Selection, or the Preservation of Favoured Races in the Struggle for Life as the working of his own philosophies according to natural sciences. A few years after Darwin's book came out, Das Kapital (Capital: Critique of Political Economy) was published. Marx replaced the gospel with his own worldview. Darwinism and materialism were used instead of creation, sin became the oppression of the dissatisfied worker, the redemption of Jesus Christ became violent revolution to control the economy. The truth in the Bible was given substitutes, and a new religion without God was formed. See how that works? I believe a good part of the problem is that people want something for nothing. Politicians tell people what they want to hear, and appeals to power and money are effective. They want redistribution of wealth, or even money for nothing. The workers (or even non-workers) are given the illusion of control. As for the academics, they do not learn very well, even those who have lived through such totalitarian years. They also forget that communists imprison or execute intellectuals. This is another article that was inspired by an episode of The Briefing by Dr. Albert Mohler. I strongly recommend that you listen to/download the May 8, 2018 podcast or read the transcript. Also, you may wish to read "The Darwinian Foundation of Communism". Say bye bye, Bernie and Bill.